If you have any type of garden, then you will need a few essential gardening tools. Different sizes and types of gardens require different kinds of garden tools. You can buy these tools at any garden centre or in any good hardware shop. Like any other product there are cheap versions, and if you fancy spending some extra money, you can buy better quality ones, that quite simply last longer. The first question you should ask yourself is, do you have small garden, a medium sized one or a large one? If you have a small to medium sized garden, either a front one, a back one or both, then you will not require the same larger equipment, that you would for larger gardens. This is especially true when it come to buying a lawnmower. Ride on or tractor type lawnmowers are a lot of fun for sure, but they are also really expensive. For most people a simple corded electric one will do. For smaller gardens a simple hover style will do, and for larger gardens a rotary one is best. 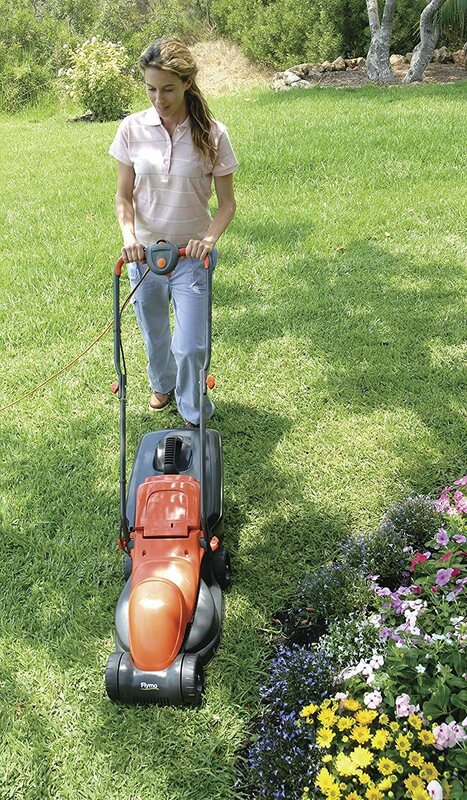 If you still have a love for engines, then a petrol two stroke mower is also a great option. Who is the Chief Gardener? The reality for most homes in the UK is that one partner usually ends up doing the gardening. In my own case my good lady does all the planting, and making it look good. I cut the hedges, mow the lawns and do the donkey work. The tools that she needs are a kneeler, a garden trowel and fork and some type of smaller shears. I on the other hand need the lawnmower, strimmer, hedge clippers etc. It is best to figure that out as you need to buy the right size tools, for the person who will actually be using them. These are really handy and on my website you can find out which type suits you best. There are corded, cordless and petrol ﻿﻿styles available. 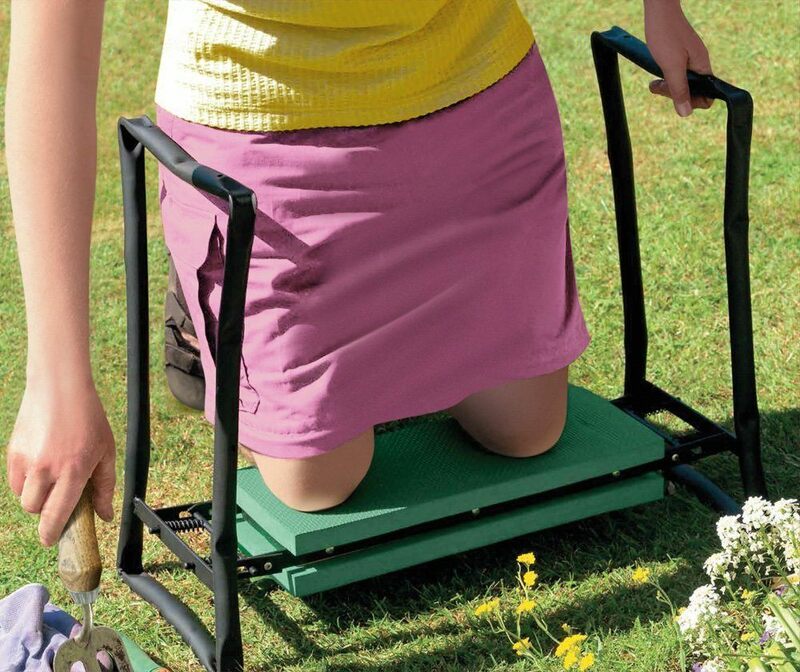 These are ideal for edging the lawns and for removing grass where the lawnmower can't reach. These are a handy and versatile tool to have around the garden. 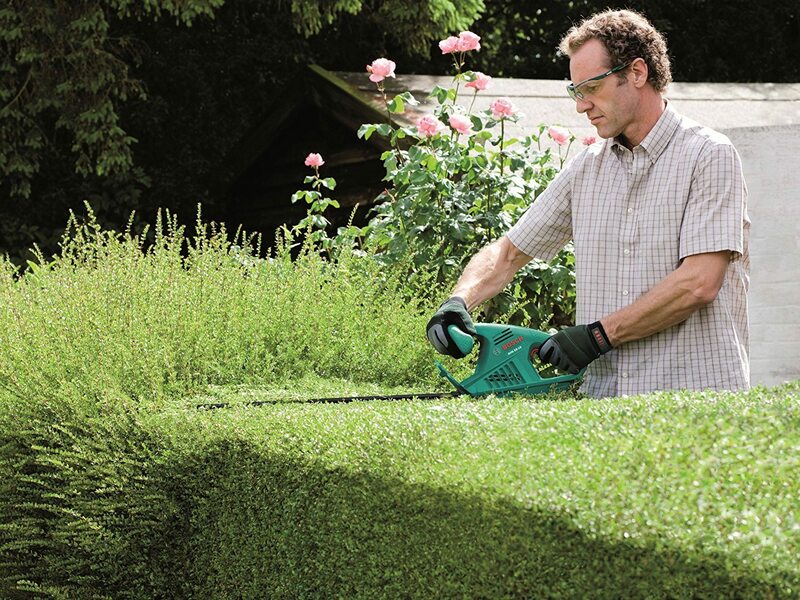 If you have a hedge, or plan on growing one then hedge trimmers are a great help. 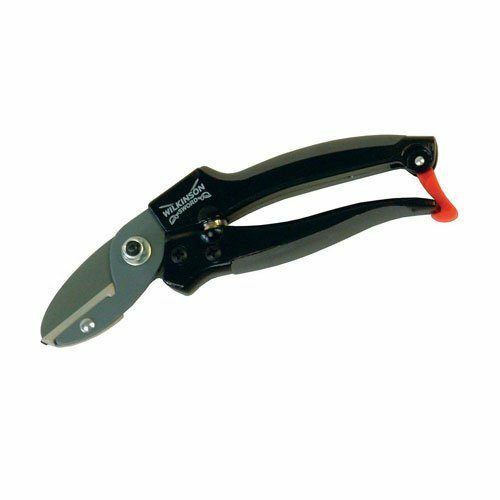 You can buy hand shears which are fine for smaller hedges. For bigger hedges a trimmer is much better. Like the grass trimmers, these are available as corded, cordless or petrol versions. Spades and forks are used for breaking up lumps of soil and to use on garden beds and planting areas. A fork is particularly useful for turning and aerating compost. Don't buy cheap spades and forks as they break too easily. If you can afford the more expensive brands, they will last you a lifetime. A shovel has a flatter, larger blade and is best used to lift dirt and garden soil. 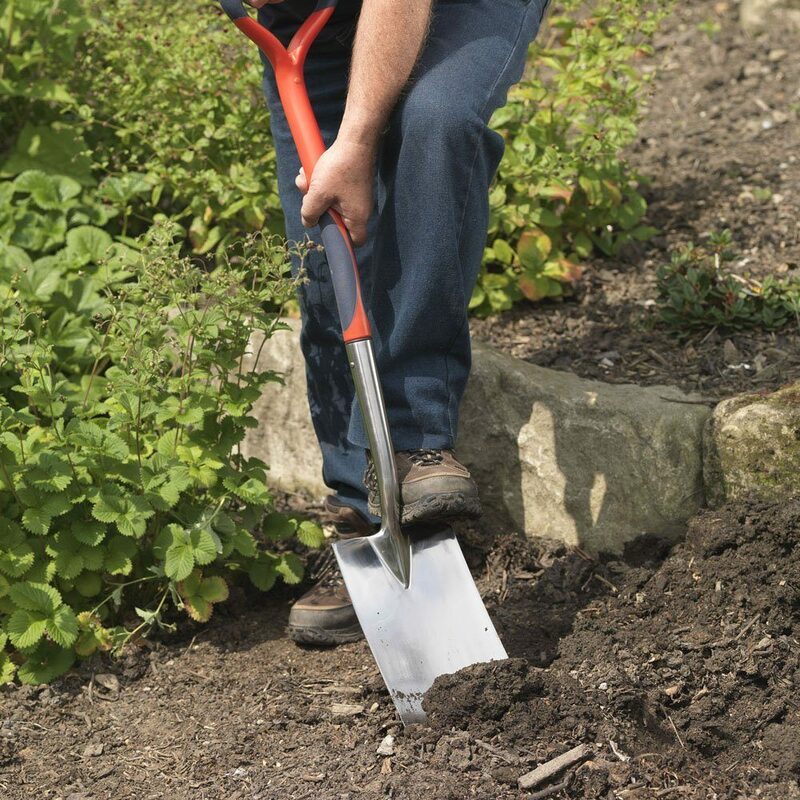 A spade has a flat blade great for cutting edges, digging and dividing plants. A shovel is handy for lifting up general garden debris. You can buy small spade and fork sets that are great for planting and also for weeding. A rake is also a basic requirement for the garden. There are two types of garden rake. The strong rake with the flat head and sharp metal prongs is used for smoothing a garden bed and getting out the last of the bumps and weeds. These can be used for levelling gardens for sewing grass, or after general weeding. 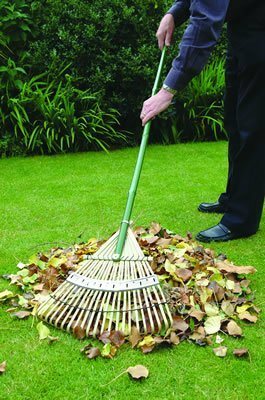 The plastic rake, like the one in the image with the longer spikes is used to gather leaves and grass clippings only. A pruning saw is used for pruning trees and larger shrubs, while secateurs are for plants like roses. Pruning saws have a narrow curved blade that fits between stems or branches and easily and cuts them as you pull the saw backwards. When you buy secateurs make sure you buy ones with a sharp blade. Good quality ones will always stays sharp and avoid damaging the plant. Look for models that have blades that can be sharpened or replaced, models with tension control and with sizes that best fit your hands. 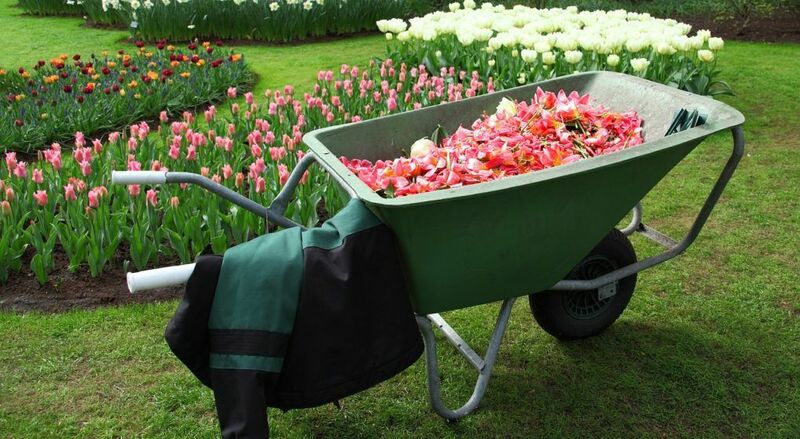 Having a wheelbarrow around is just a very useful thing to have. 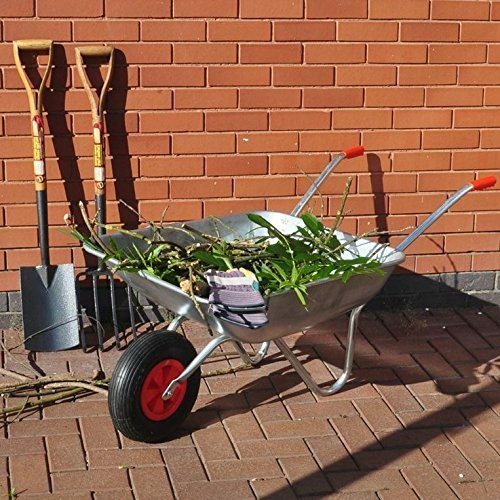 It is always better to let a wheelbarrow do the work, rather than you straining your back and arms. Like many other gardening tools these come in all shapes and sizes. In all honesty you don't need anything to fancy. Mainly it depends on what you are going to be using it for. For just moving grass or weeds to the bin a lightweight one is absolutely fine. ​ However, if you plan on moving soil, bricks, pavers etc around, then a good tough heavy duty one will be required. Those are a list of some essential and useful gardening tools. You may or may not need all of them. My advice is to buy the best that you can afford, as they will always last you longer.